When it comes to cracked cylinder heads or blocks, Yosemite Machine in Modesto, California, has the tools and expertise to take care of cylinder head rebuilding. Our shop has the tools and expertise to make the needed repairs and get your engine back in running condition. We do crack repairs from engine overheating and in most cases we are able to save the cylinder head. in most cases. Yosemite Machine does resurfacing to give the head a new surface and if the cylinder head has warped, our technicians are able to cut and resurface it again. To eliminate engine vibrations, our shop is able to take the rotating and reciprocate parts of the engine and spin them on a machine to make sure they are balanced. If you don't balance the engine every now an then, the performance and life of your engine will decrease. Yosemite Machine offers aluminum welding services. Welding aluminum parts such as cylinders when they have corrosion or breakage issues is a part of the repair services we offer. Welding cylinders can often mean the difference between repairing damage or throwing them away and buying replacements. 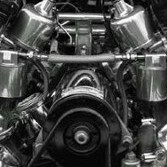 engine rebuilding services to get your engines running at their best.